Just two more months left before we finish one more calendar year of our career. 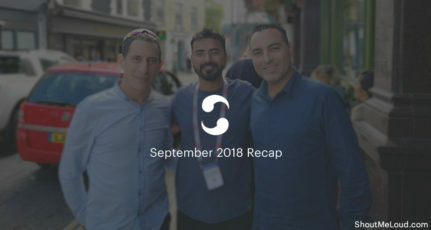 October was a great month for ShoutMeLoud as I implemented a lot of stuff as planned. 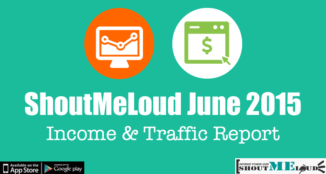 Welcome to the ShoutMeLoud transparency report. 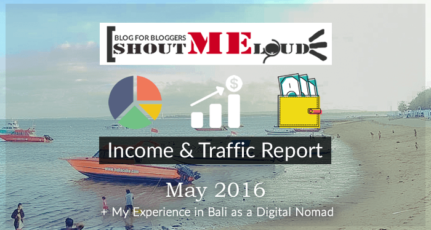 This is the time of the month when I analyze how & what we did in the previous month to grow our blogging business. 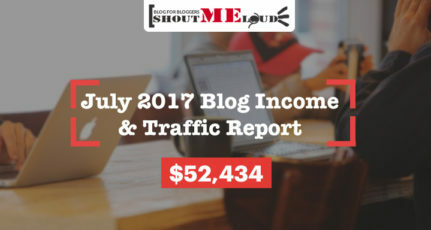 Along with this, I share our complete income & expense report to help you learn how we are making money from the blog & what expenditures we incurred while running and maintaining ShoutMeLoud (and one of the best blog networks -ShoutDreams). For newcomers, you should read this post to understand our philosophy of sharing a transparency report like this. And if you feel such insider stuff helps you to grow your online business, you should check out all of our earlier reports over here. October was a busy month for all of our team. We have been working day & night to add a lot of stuff, brainstorming new ideas, and also implementing many of our existing ideas. Sutra is an Indian word & I’m sure many of you have heard it before because of the famous “Kama Sutra”. Sutra means a work of literature which contains everything about a particular subject. We did a lot of stuff regarding branding & a lot will follow in the coming days. Moved the blog from SiteGround to Kinsta Hosting. Added SSL certificate using LetsEncrypt free SSL. 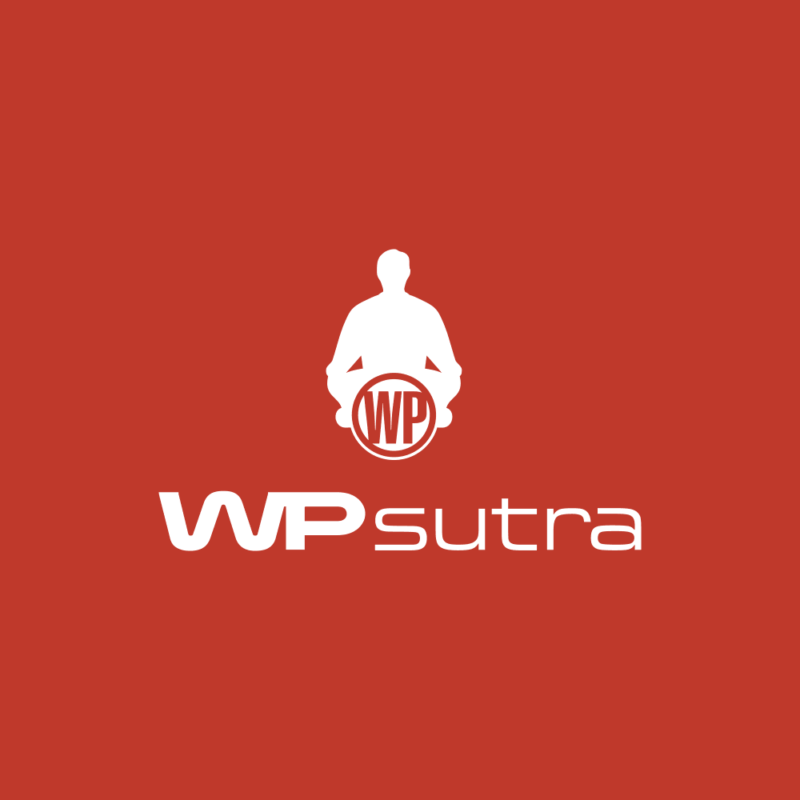 In the coming days, we are going to be revamping the homepage of WPSutra & at the same time, I’m going to be hiring writers who are passionate about the WordPress niche. If you are already writing on stuff related to WordPress, you are welcome to join our writer’s team. You can email your past work & portfolio to [email protected] and you may be able to join WPSutra as a paid writer! Bitcoin: Is it the future of currency? Another thing that has kept me occupied last month is Bitcoin. If you remember, a few months back, Srikanth shared a detailed guide on Bitcoin & I realized that this is a great niche to start working in. It seems like the future of currency & is an investment worth having. A friend of mine who is an expert on cryptocurrency suggested to me many times to invest in Bitcoin & a few other “altcoins”. Well, better late than never; last month, I spent a lot of time learning & researching about Bitcoins. I shared many guides about Bitcoin on ShoutMeTech. I will be starting a new niche blog about this topic which will help you & others learn about the growing market of Bitcoins. Coinbase: U.S. based site & a popular place to purchase Bitcoins. Here is a complete guide to using this site. We will make the announcement once our niche site goes live. We will also be hiring two writers for the cryptocurrency niche, so expect a formal invite in the coming days. In October, I also released an updated version of “The Affiliate Marketing Handbook” & all existing buyers have already received the updated version for free. If you haven’t yet purchased the book, you should definitely get it. Do remember, our eBook comes with lifetime free upgrades. You can browse all of our other products on the ShoutMeLoud store over here. I have already made an official post yesterday about the newly redesigned ShoutMeLoud homepage. Many of you might have missed that post, so I’m sharing it again here. 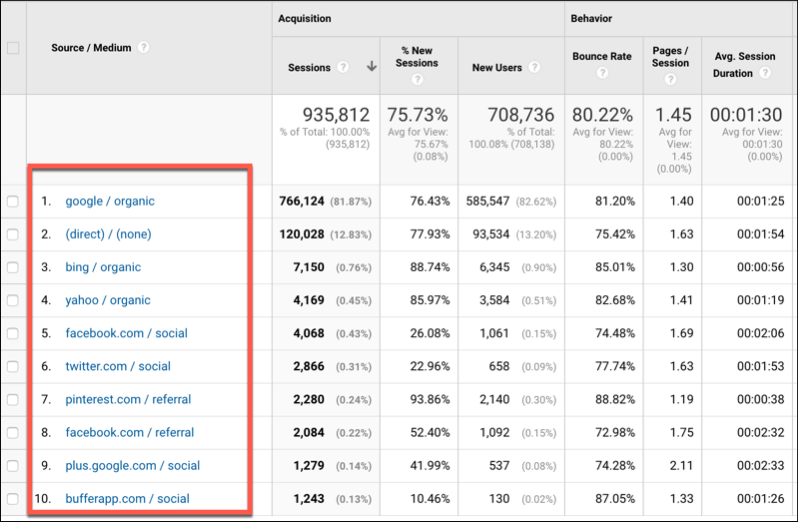 We worked on optimizing sections like deals and videos to improve the conversion rates. Also, we made a major change to the homepage of ShoutMeLoud. If you are on desktop or mobile, do check out the new homepage of ShoutMeLoud & let me know your feedback, opinions, and suggestions. Well, we are still working on a few more cool things which I will reveal as they are ready for public launch. 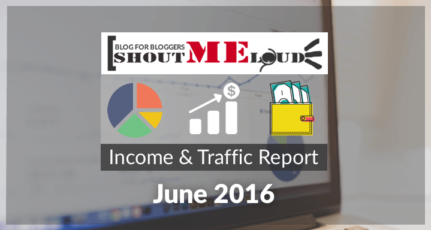 For now, let’s move ahead and look at our monthly traffic & earnings report. 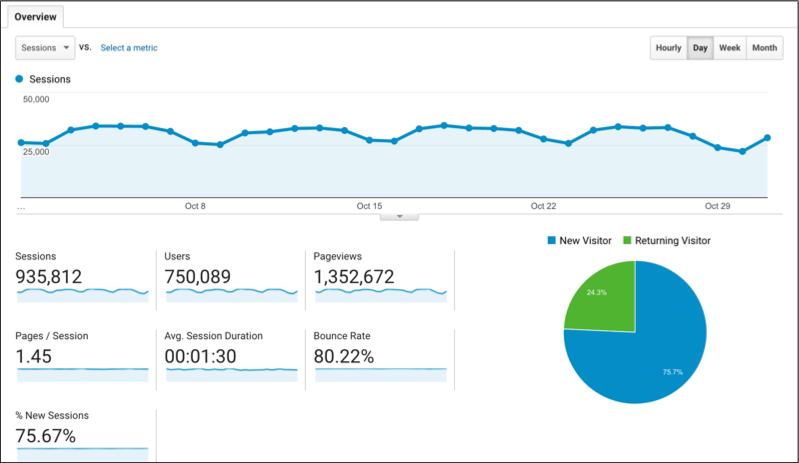 We experienced little traffic in the last week of October. I believe it was more of a Diwali effect than anything we did. I will get to know more about it in the coming weeks. Regarding traffic sources, the majority of traffic is coming from search engines. I believe we still have a great deal of improvement to be made on leveraging social media traffic. Right now, most of our social media traffic is due to automation. Free CloudFlare for stopping spam traffic & improving loading time. 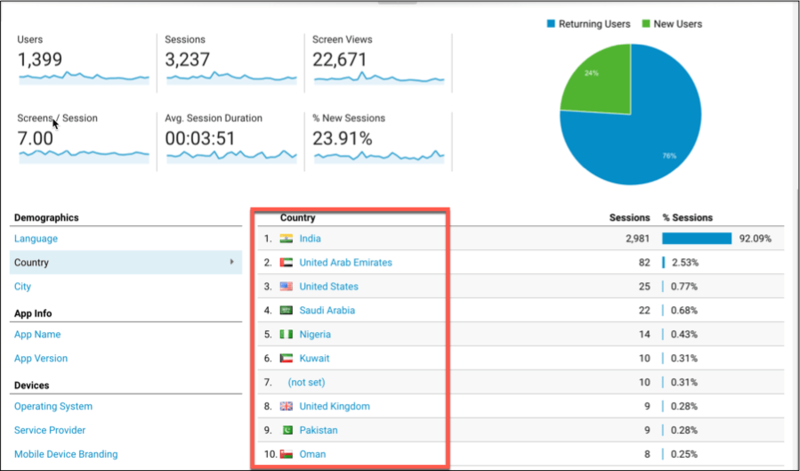 There is nothing new in terms of Android app traffic. Next week, a new version of the ShoutMeLoud Android app will be launched with a revamped videos section. We also removed the “Services” section & added the “Deals” section onto the app itself. Our forum is getting bigger & better. We have now 5000+ members, and the community is growing slowly & steadily in the right direction. 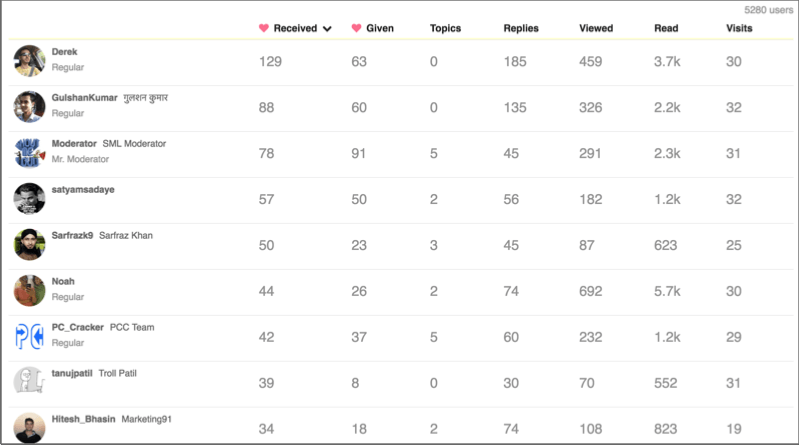 Here are the top members who are most active & helping newbies get answers for their blogging related questions. Satya & Sarfraz are the new entrants to the Top 10 Shouters list in the month of October 2016. It seems like ShoutMeLoud needs another SEO audit & a bit of optimization to reach our goal of 2 million page views in the coming months. Like always, you will be the first to know about all of our experiments & changes. For now, it’s time to look at our income report. Note: These earnings are from ShoutMeLoud & all of the other blogs in our network. However, 80% of the overall earning is from ShoutMeLoud only. For the past few months, my productivity was going down. So last month, we decided to work from a co-working space. Sharat and I went to 91 Springboard (Gurgaon) for a few days & it put us back in the mood. It was a good experiment, and initially, we took the day pass that cost us about $20/day. Later on, we ended up taking the monthly pass. $20,000 worth Google Cloud credits for one year. Sendgrid service worth $959/year (one time). 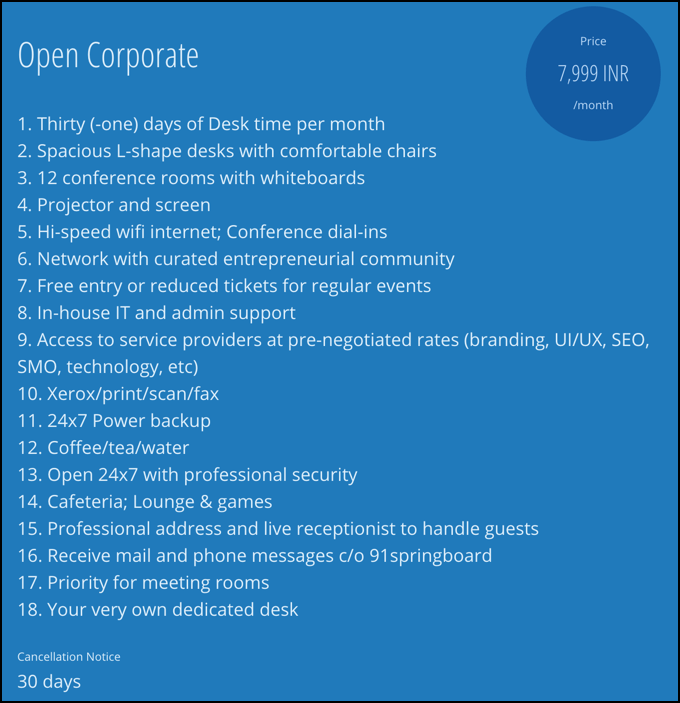 Special pricing for many services such as Freshdesk, VakilSearch, Sutralites, WorkZippy & many more companies. If you are a blogger or a startup, you should consider joining a co-working space. 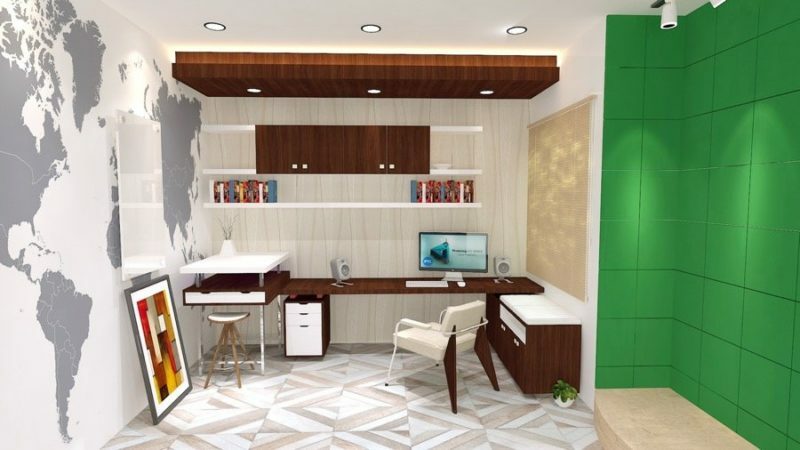 Especially if you are someone who has been working from home for a long time, these co-working spaces will add new flavor to your career. You will get to meet many like-minded people & you will find another great place to work. You don’t have to get into the monthly subscription, rather just go for 2-3 days using the day pass & figure out if a co-working space is right for you. There are many that you can find in cities like Delhi, Bangalore & Mumbai. You can learn more about 91 Springboard here. Well, this is what happened for me & my team in the month of October 2016. 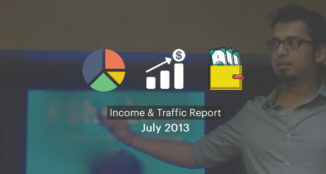 Now, it’s your turn to share your income, traffic, and growth report for the last month. And, before we bid goodbye, here is something exclusive for you. Do you remember the flat that I purchased from my blogging earnings? Well now, I’m working on making it a home. Right now, I’m working on the design aspect. Let me know if you wish to add or suggest any changes to this design. The work will start in a week & I will be moving soon to my own casa. Looking forward to reading your comments and your own transparency reports. And do create awareness about blogging by sharing this transparency report on Facebook, Twitter, WhatsApp, Google Plus, or anywhere else you like. I will see you in the next post! Great bro Thanks for sharing month income on website. first of all readers get confidence by reading above article same case with my self. i got confidence by reading .but your monthly income grown but expenditure also grown .average monthly net income is same previous month . This post is really inspiring for me. congratulations harsh….this will be a inspiration for lot of new bloggers like me…. Congratulations for your success. Great work. Thanks for sharing the post and being so transparent. Really Inspiring for new bloggers.